Extensive research in marine-related fields occurs in the Mid-Atlantic. Numerous agencies and institutions in the region have programs in marine-related sciences. These programs provide data and information for basic scientific research as well as for management and conservation of the Mid-Atlantic region’s resources. Below are two examples of research in the Mid-Atlantic. Information about other research programs in the region will be added to this page in the near future. 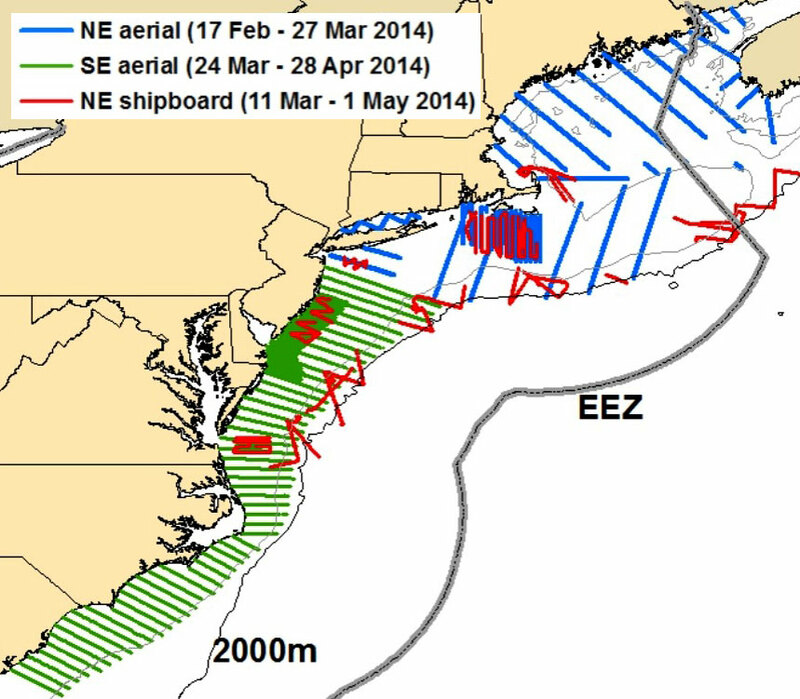 The Mid-Atlantic Regional Association Coastal Ocean Observing System (MARACOOS), an academic-industry-government partnership, is a regional-scale entity that provides ocean observing, data management, and forecasting. Its scientific infrastructure includes a coastal weather network, a high-frequency radar network, and autonomous underwater gliders. The MARACOOS partners have a ten-year plan to expand the acquisition, use, and development of datasets, modeling, and communication tools in the Mid-Atlantic region on topics such as invasive species monitoring, hypoxia prediction, and coastal erosion forecasts. 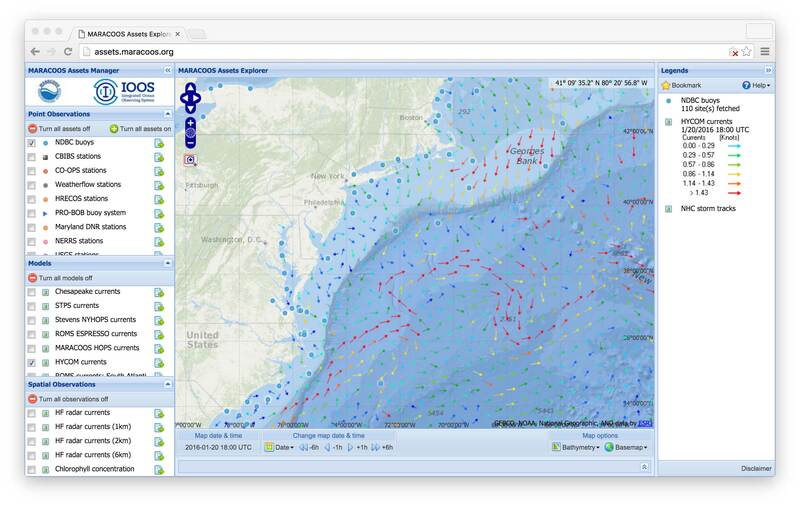 Screenshot of real-time oceanographic and environmental data available from the MARACOOS website. The Atlantic Marine Assessment Program for Protected Species (AMAPPS) is a collaboration between four government agencies: the National Oceanic and Atmospheric Administration (NOAA), the Bureau of Ocean Energy Management (BOEM), the Fish and Wildlife Service (FWS) and the Navy. The goal of this project is to develop habitat-based seasonal models of the distribution and abundance of marine mammals, sea turtles, and seabirds along the Atlantic coast that will inform future environmental assessments (e.g., by BOEM and/or the Navy), stock assessments (e.g., by NOAA), and support programs that monitor risk of extinction and recovery of species detected (e.g., by NOAA). By observing marine mammals, sea turtles, and seabirds each year offshore, the AMAPPS project collects data on marine life and environmental conditions that can also be used as baseline information for future monitoring of wind energy areas or any other natural- and human-induced changes in the ocean.